There are a couple of minor changes from last year. You still will need this free special permit but the wording will be changed so that just the captain of the vessel needs to have this permit (not one for each person on board) and the captain will be responsible for reporting. The other change is that you will need to call the 800 number prior to going fishing this year (not just when returning). The reason for this is there is just no data on this winter fishery. We had this fishery for years but NOAA did not collect wave 1 data (January-February). When trying to get our wintertime fishery back, we had no data to point to and a major objection to reopening the fishery was this lack of data. The only information we have is what Virginia collected last February. The phone call is to allow the fisheries managers at VMRC to know something like: we have 3 boats fishing out of Rudee Inlet today. This will give them the chance to have someone there to collect some biological information about your catch when you come back to port. They found that the phone call just as we were coming in did not give them much time to get someone there to measure fish and such. 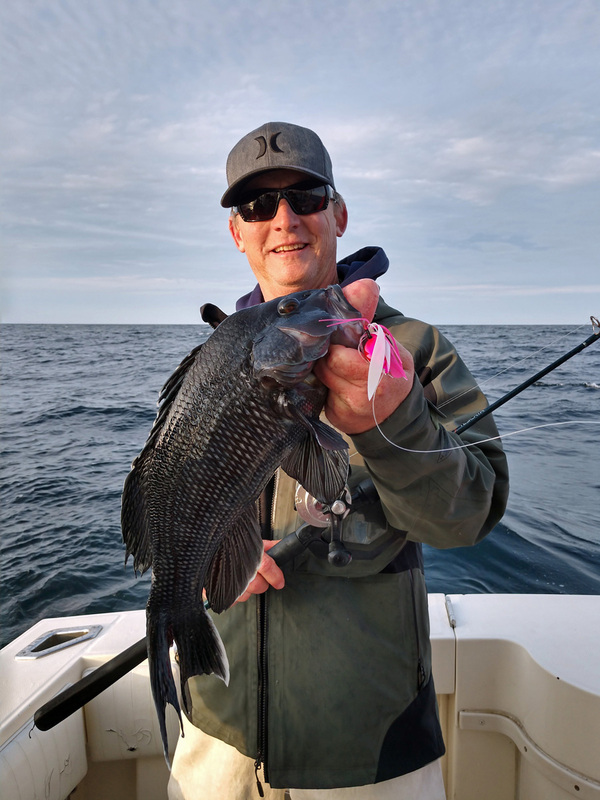 Note that this permit, phone calling, and reporting requirements apply only to this February sea bass season and are not required for the rest of the sea bass fishing year. Also, it is expected that there will be some change the sea bass regulations during the spring-fall time period to make up for this February fishery but that is yet to be determined.